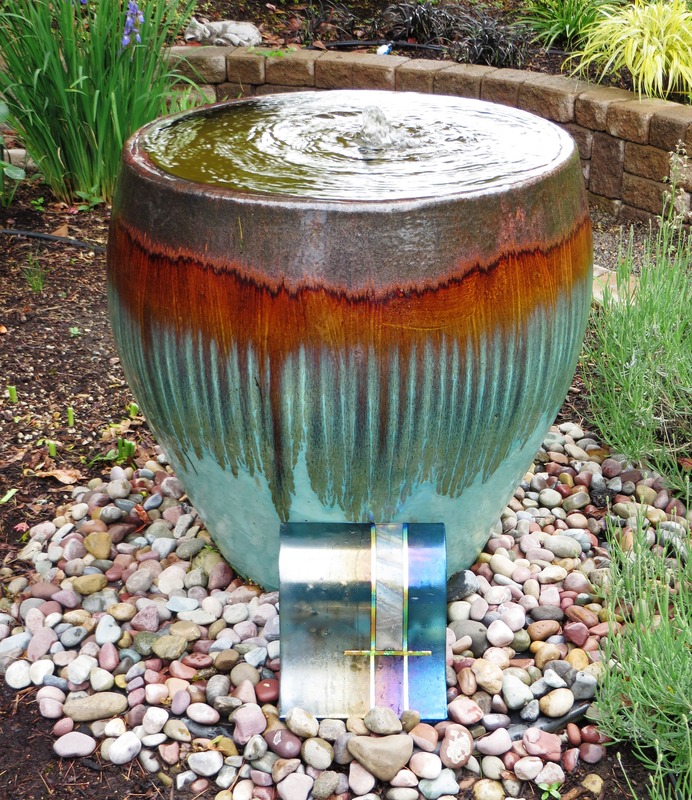 Art in the Garden - Ann Nickerson Landscape Design, Inc.
Last summer I was helping my good friend and design client, Sylvia Foster find a special accent for her newly renovated back garden. We had both been hunting for just the right thing, without really knowing what we were looking for. 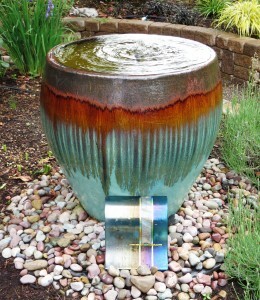 I wandered into The Artfull Garden in downtown Hillsboro and spied some amazing fused glass created by JoAnn Wellner. I didn’t find the exact piece I wanted, but I contacted JoAnn, and Sylvia and I were able to visit her in her Hillsboro studio. We worked with JoAnn to design a beautiful piece of art in Sylvia’s favorite colors. It was a fun experience collaborating with another artist in her art-form. 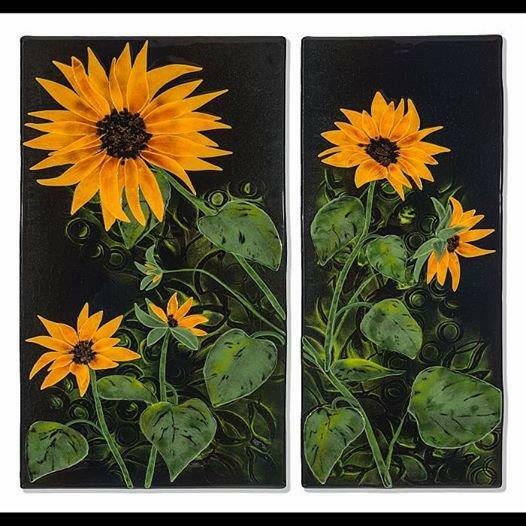 I was so thrilled; I asked JoAnn if she would be my featured artist in my client’s garden in the 2015 ANLD Designers Garden Tour this June. 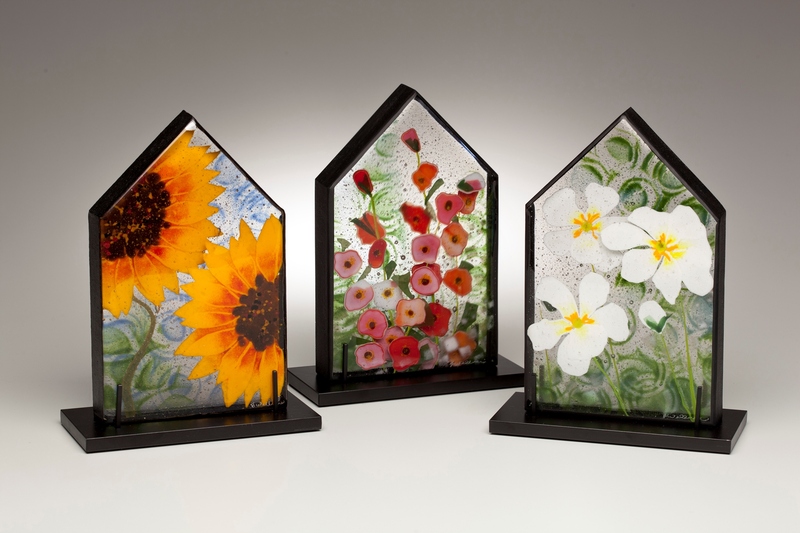 JoAnn has been working with fused glass for 15 years. She started in stained glass but moved over to fused glass as classes piqued her creative juices. She has studied her art at seminars taught by internationally known masters throughout the United States and Murano, Italy. Each class is a doorway into a new facet of her work. 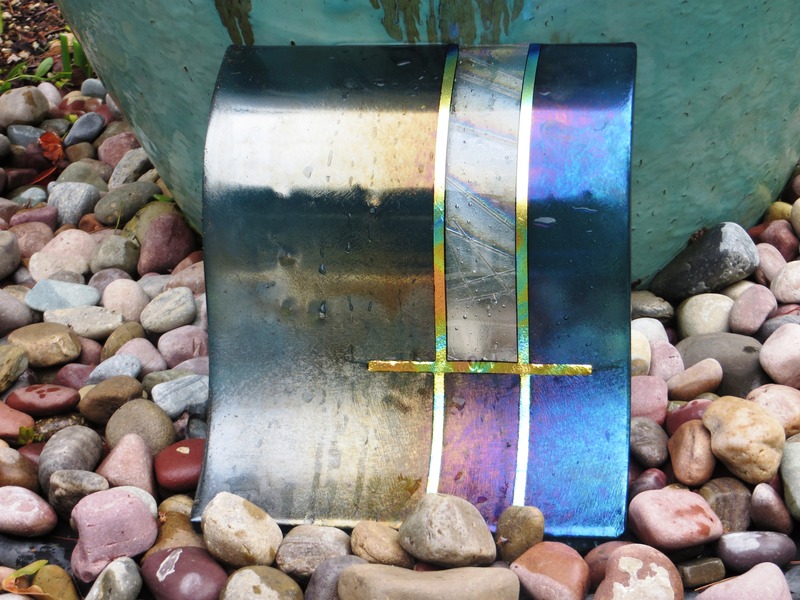 JoAnn relishes the opportunity to explore new avenues of fused glass and then to pass it on to her students. JoAnn enjoys creating custom pieces of art, but her real love is teaching. 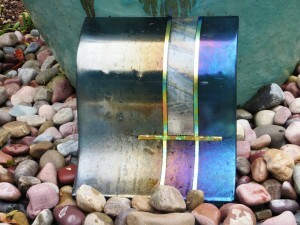 She starts new students out with an all-day basic training class on working with glass. Then they are invited to join her other students in open classes where they work on their own projects with JoAnn’s tutelage and assistance. The open classes are restricted to only four students so they each receive personal instruction time with JoAnn. Many of her students have become great friends as they work together on their own creations. The 2015 ANLD Designers Garden Tour takes the garden lover through eight beautiful gardens; each featuring a local artist. The gardens vary from a sustainable garden where the owner can age in place, to a meadow garden; a garden designed for adult entertaining; and a garden designed to delight adults and grandchildren alike. They feature many beautiful walls, paths and structures. Each is a space that will be lovely to look upon. They will inspire you to contemplate the possibilities in your own garden. The tour is on Saturday June 20th, from 10am to 4pm in the Beaverton/Tigard/Lake Oswego area. Please visit http://www.anld.com/garden-tour/2015-garden-tour for more information about the tour and to purchase tickets. It will be a fun event for you and your friends.